Specs for two giant Sony smartphones have been posted on a handful of Chinese sites, promising a 6.44-inch Xperia Z successor and a 5-inch option code-named Honami. The reports come from somebody posting on the not-always-reliable Baidu forum, who claims that s/he is a tester of Xperia devices - hmmm. Anyway, this person says that the Togari handset is a 6.44-inch 1080p display-toting phone - and it's not the first time we've heard that rumour. The tester went on to add that the handset rocking a similar design to the Xperia Z with a glass back and white colour option. 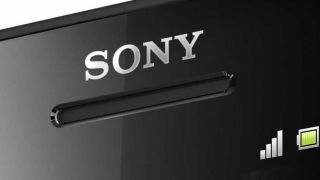 But that's not all, Sony phone fans: the same source added that s/he has been messing about with a second giant phone; another Sony Xperia handset codenamed Honami. This handset is reported to rock a 5-inch 1080p display, a 2.3GHz quad-core Qualcomm processor, a Walkman audio chip and a beefy 20MP Cyber-shot camera with Carl Zeiss lens. "The tester goes on to say that Honami will be one of the most attractive phones Sony has ever made," reports XperiaBlog, which honestly isn't that difficult, before citing a number of additional Chinese-language sources who 'confirm' the handset's specs. Both handsets are anticipated to launch in July in China, although we're expecting Sony to save some flagship phone goodness for IFA 2013, which takes place in early September.